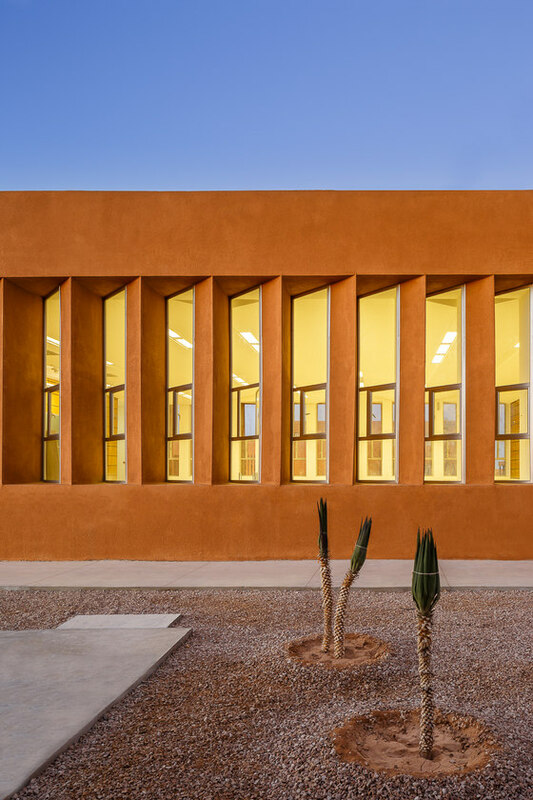 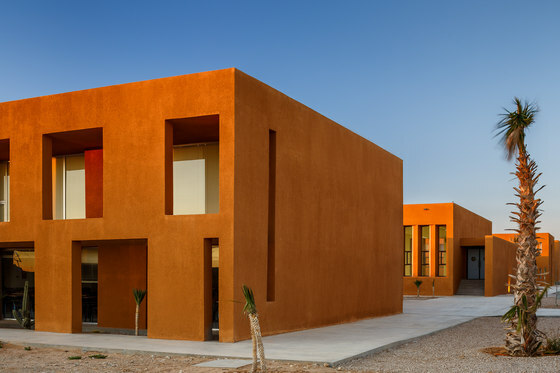 The project of the Laayoune Technology School in Morocco is part of the decentralization policy of universities centers in the different regions of the country. 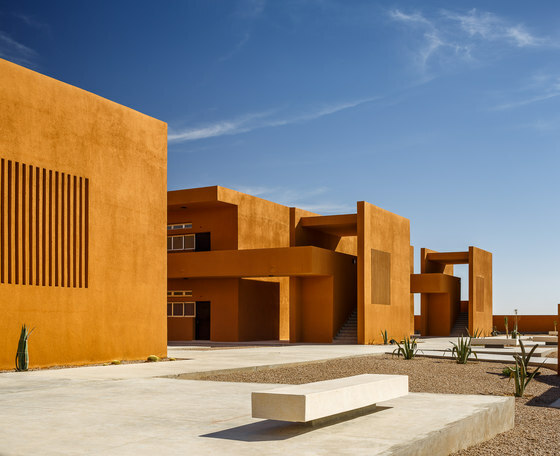 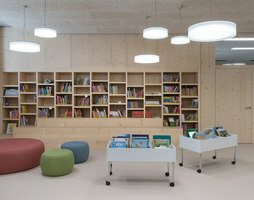 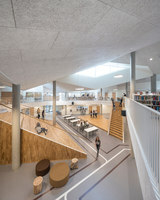 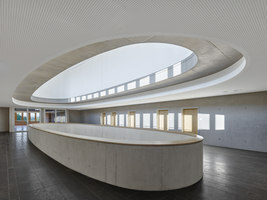 The program consists on teaching spaces(classrooms, workshops, amphitheater), library, administrative offices, teacher’s offices and services (maintenance spaces, staff accommodation etc.). 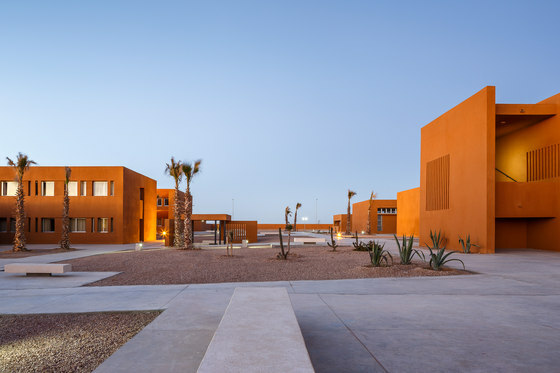 The site, quite away from the city center, generated aneed of “urbanity” through an organization around an axial scheme, and thus providing a comprehensive and clear reading and at the same time a diversity of ambiences. 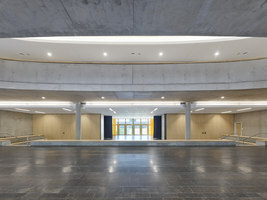 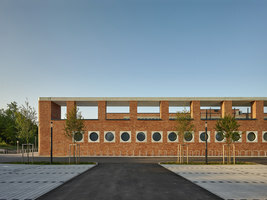 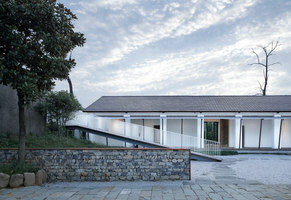 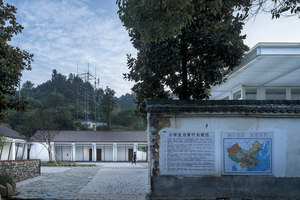 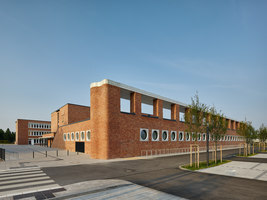 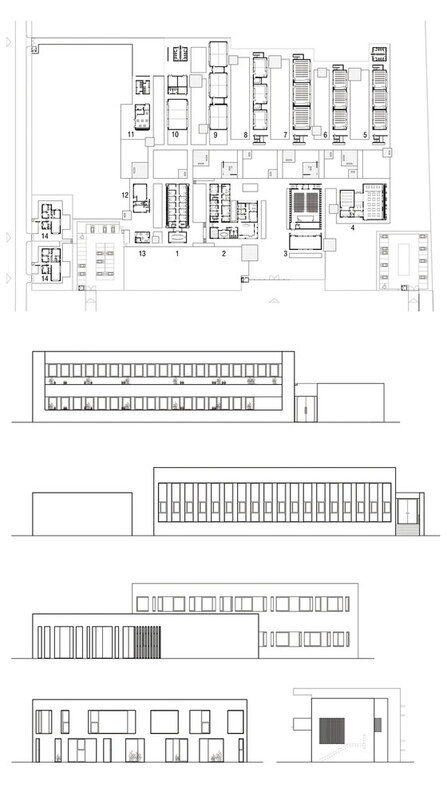 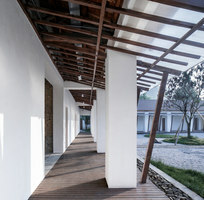 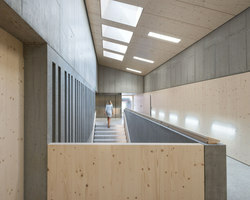 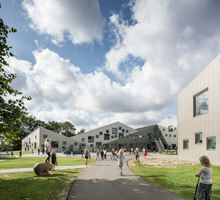 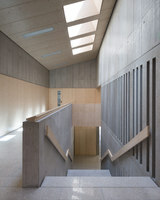 The various buildings are fragmented to allow maximum natural ventilation and lighting and are connected by a set of external paths, squares, covered squares, mineral gardens to justly enhance this notion of urbanity. 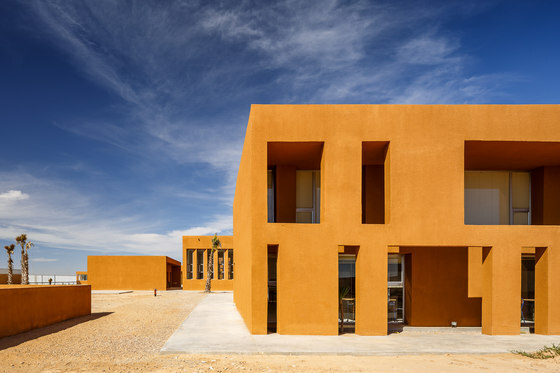 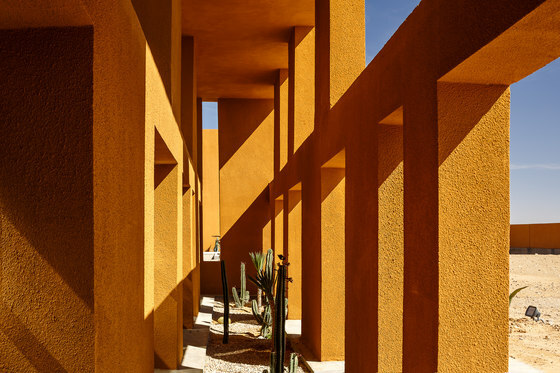 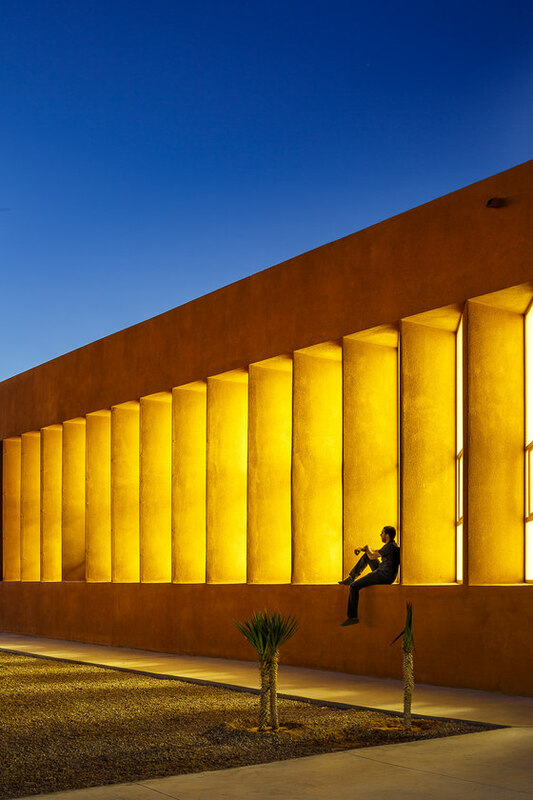 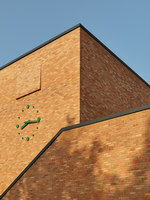 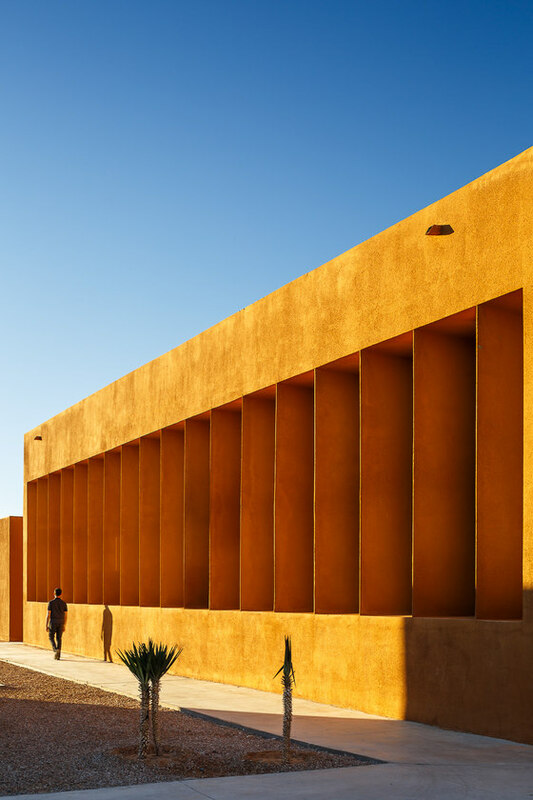 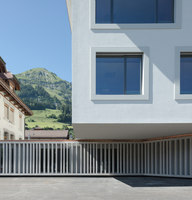 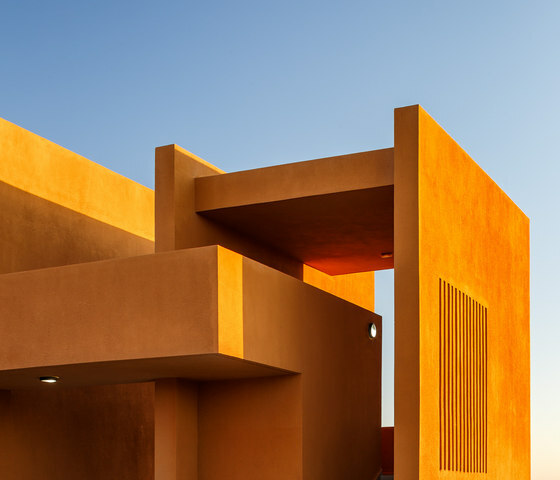 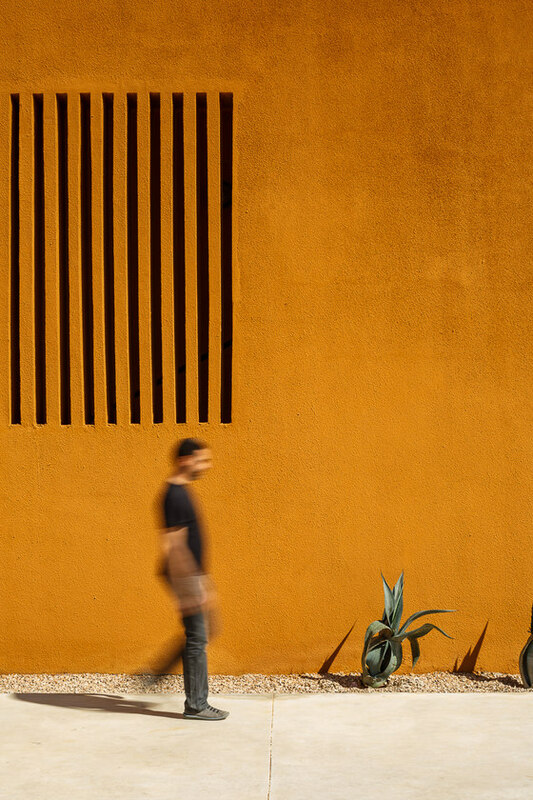 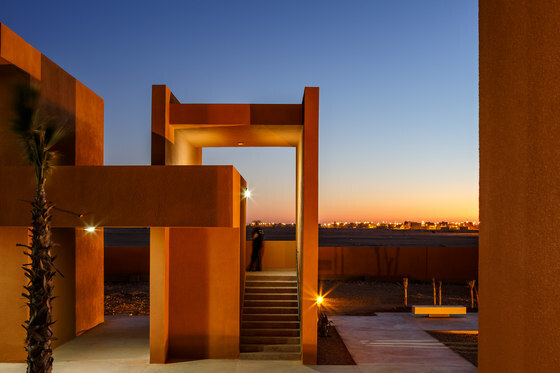 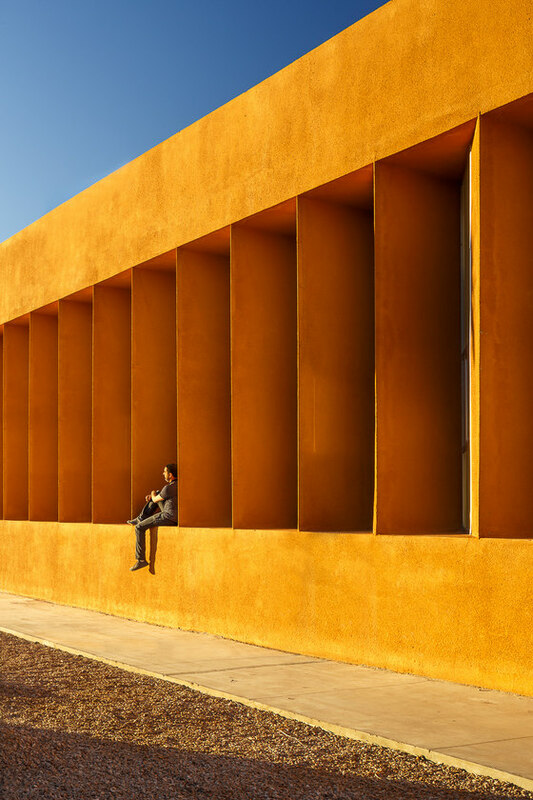 The architectural vocabulary is solid, geometric and plays with the contrast-ocher-exterior and interior-light. 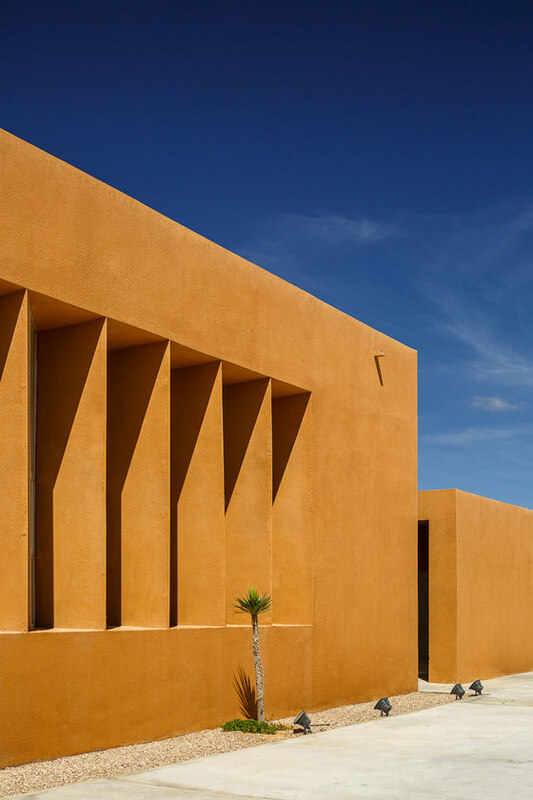 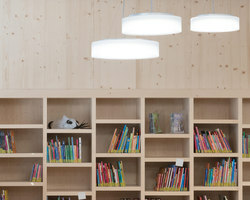 Different sun protection devices are used: brise-soleil, double skin, protected walkways etc. 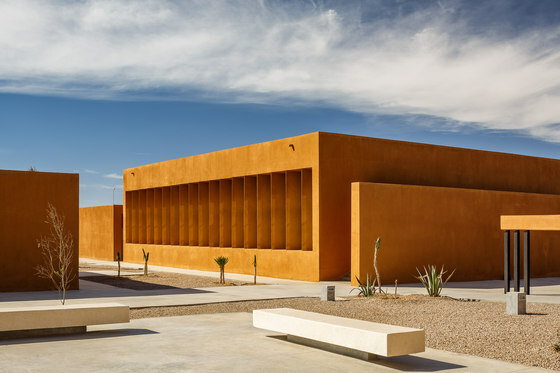 The materials used are minimized to emphasize abstraction and coherence of the whole while meeting the need of sustainability and easy maintenance.